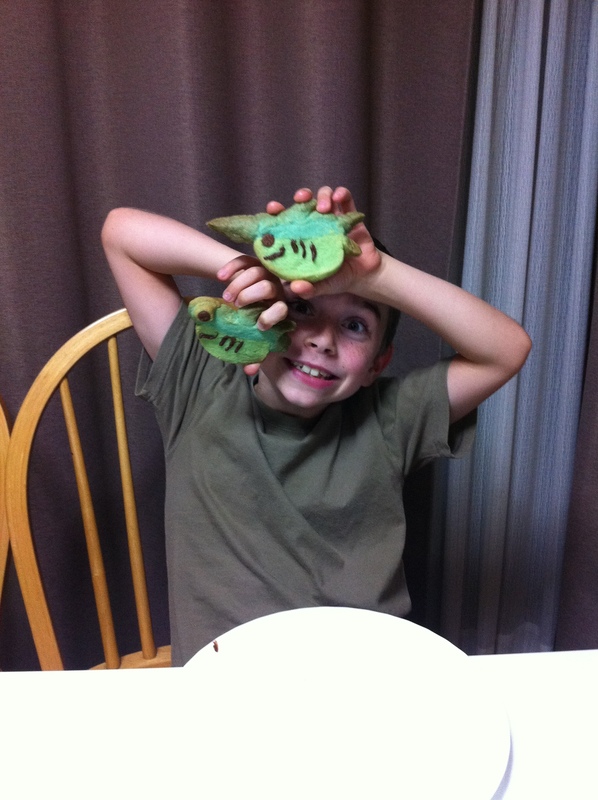 Austin and Ethan are wild about sea creatures. 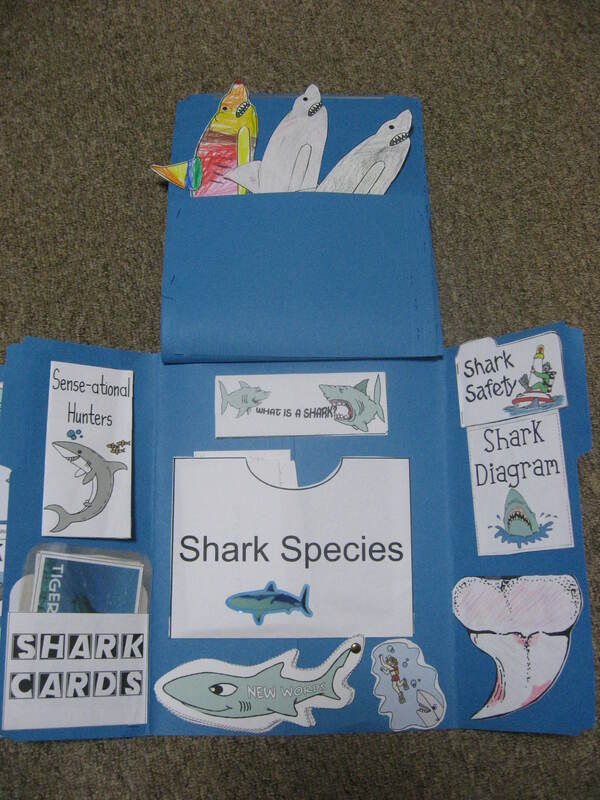 They love stingrays, squids, dolphins, and sea horses and many other marine animals. 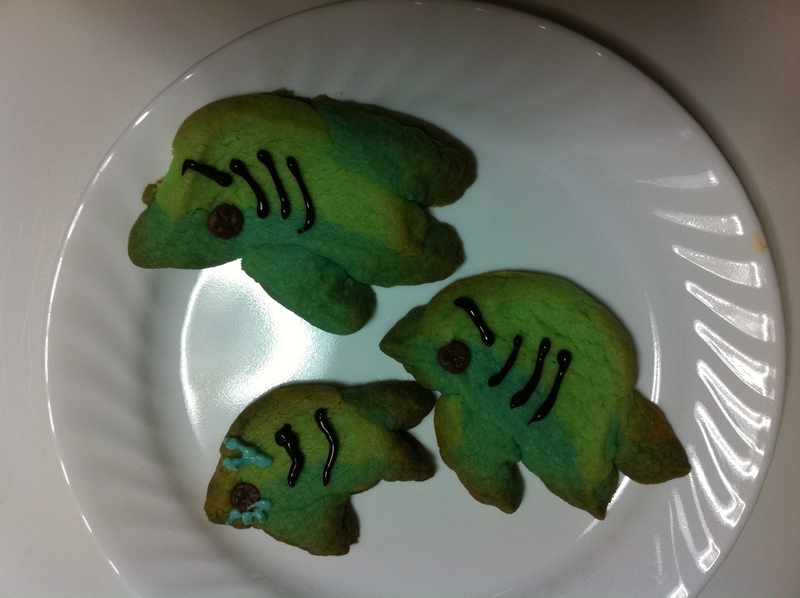 They are also very intrigued by sharks. 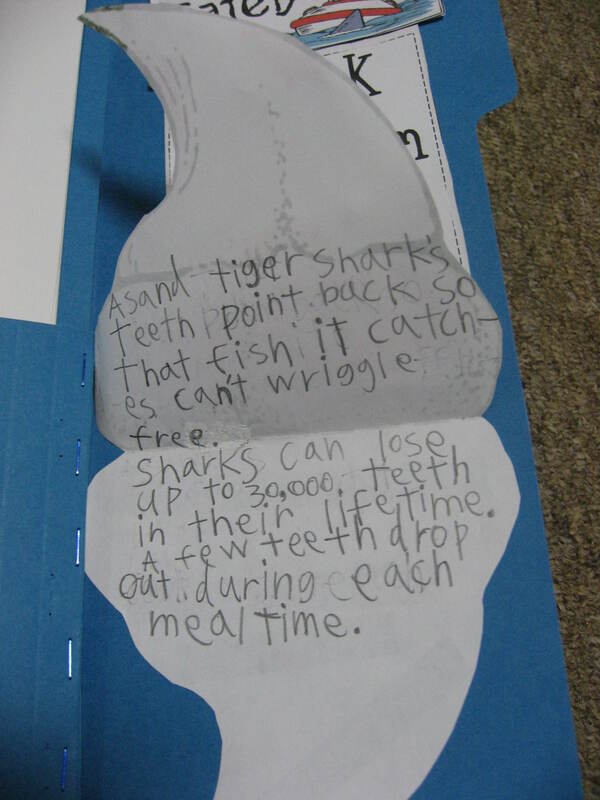 So, they decided they wanted to do a lapbook to learn more about these amazing and fearsome animals. 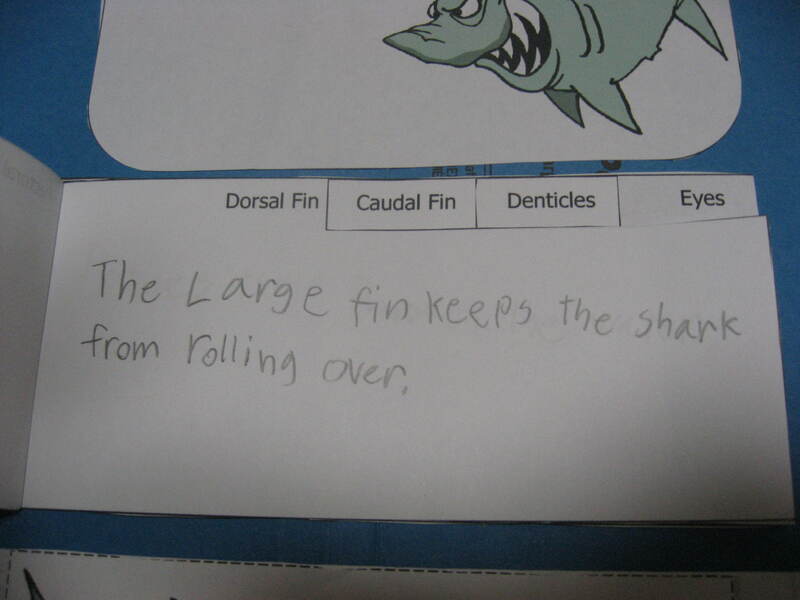 Through our research we learned tons of interesting facts about sharks. 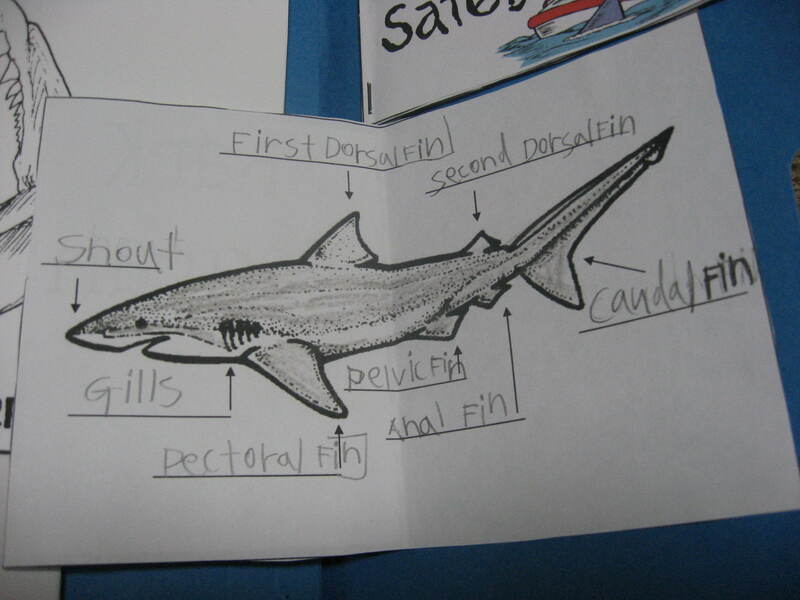 For example, we learned that sharks are covered with tooth-like scales called denticles We also read that they can smell just a tiny bit of blood from a huge distance away, and that they sometimes mistake surfers for sea lions because of the shadow they cast from above. 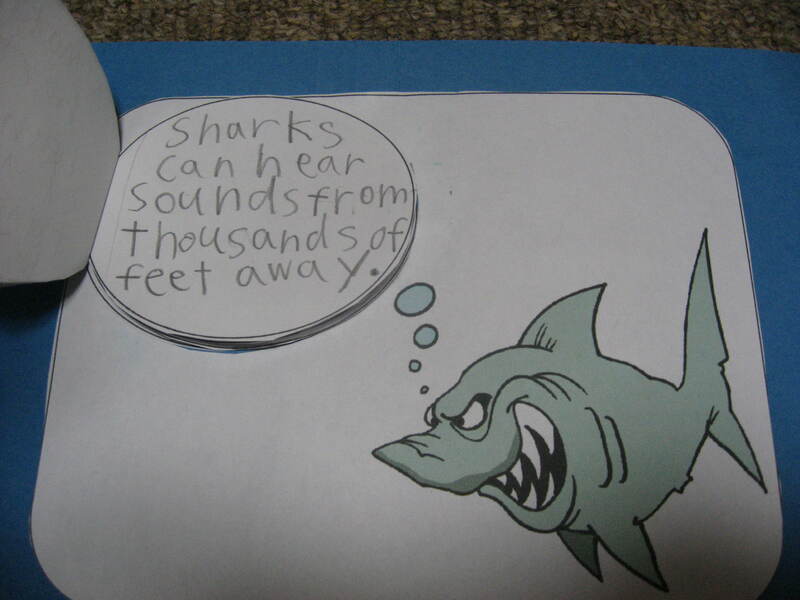 Sharks also have a great sense of hearing. 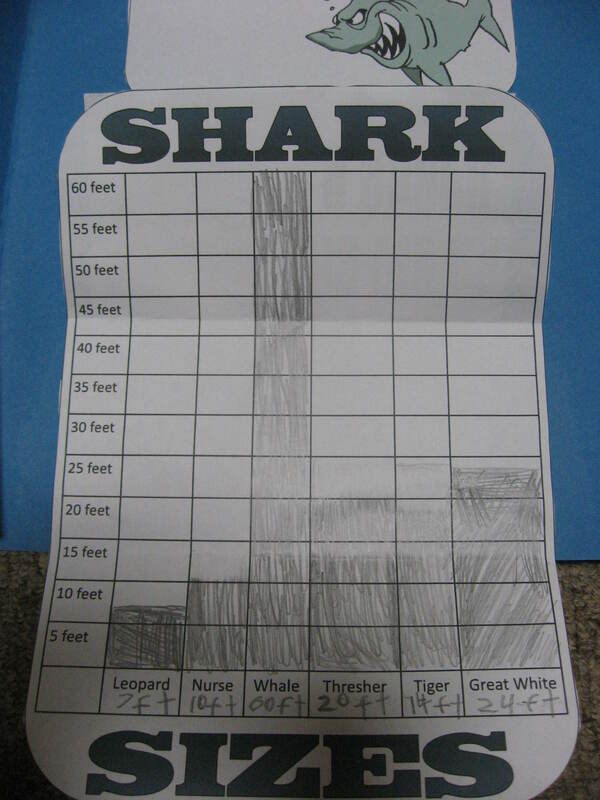 So, as a safety precaution if you ever fall out of a boat in the ocean you should avoid flailing around and making lots of noise — easier said than done, though, don’t you think?! 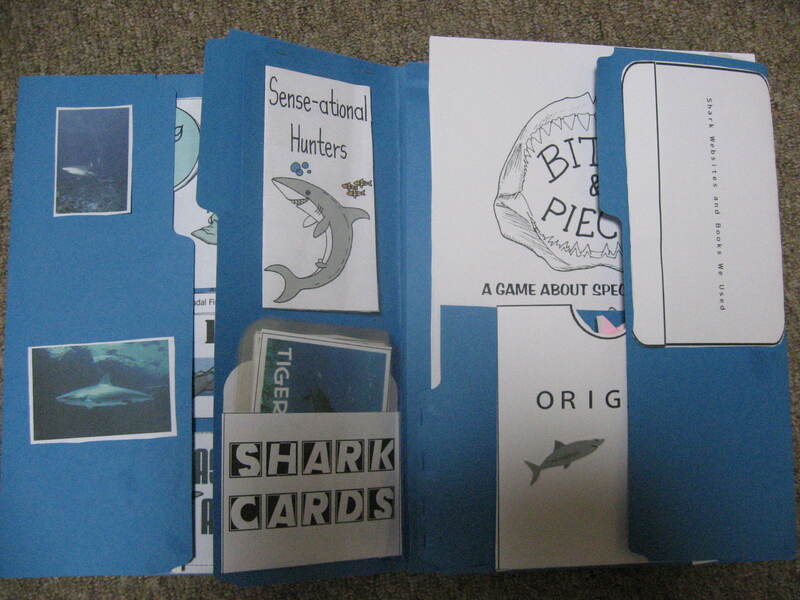 We downloaded the materials we needed to make this lapbook (for free!) 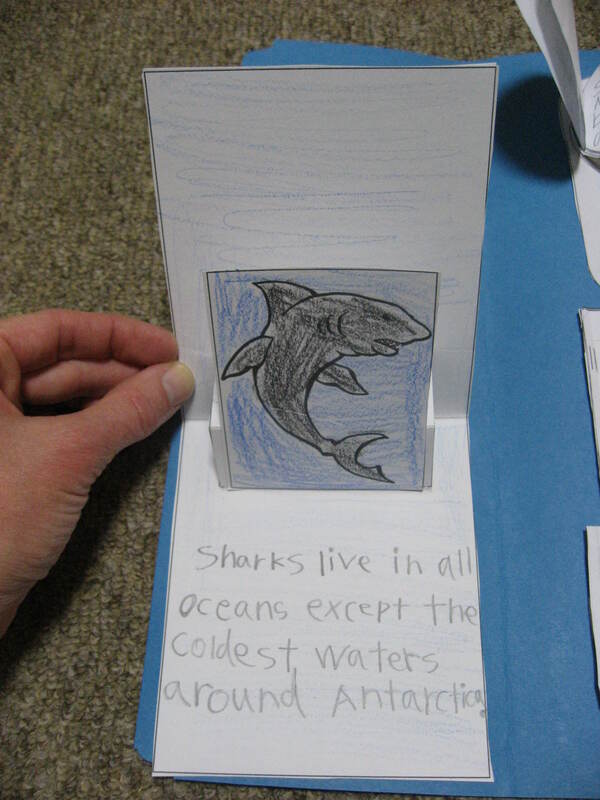 from homeschoolshare.com. 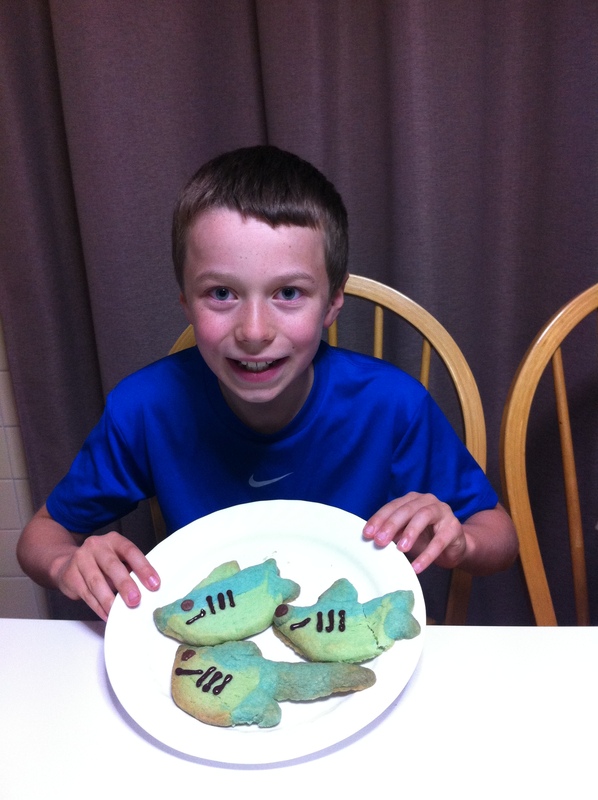 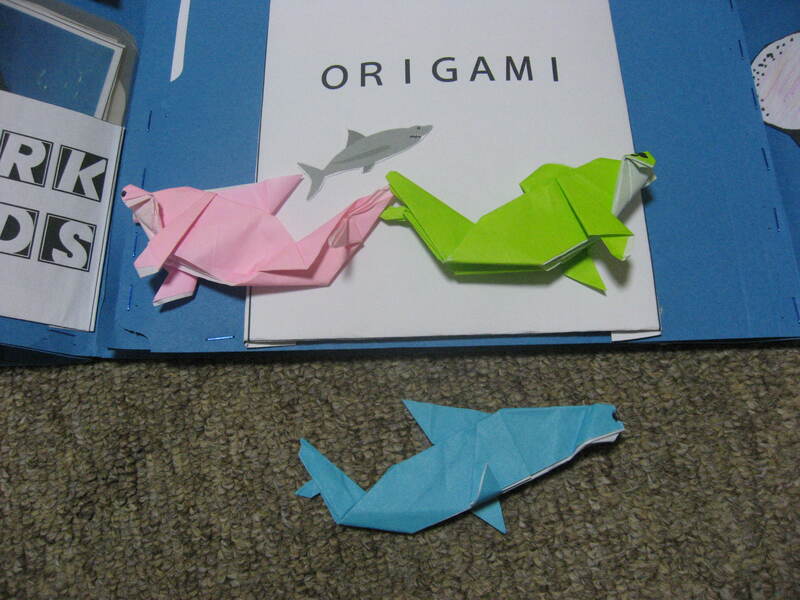 Then we added some of our own extras, like an origami hammerhead shark, this cute shark craft, and a super delicious and fun to make “shark-tastic shortbread cookie” recipe that we found at this blog. 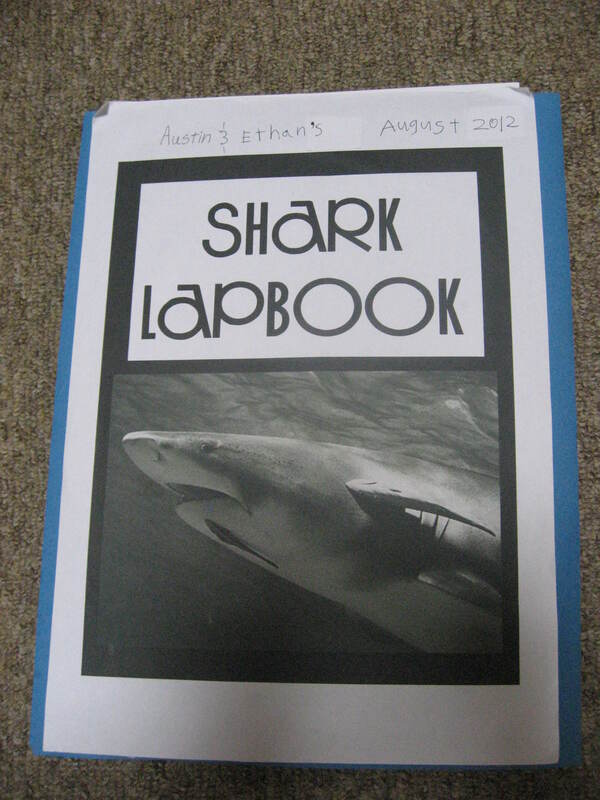 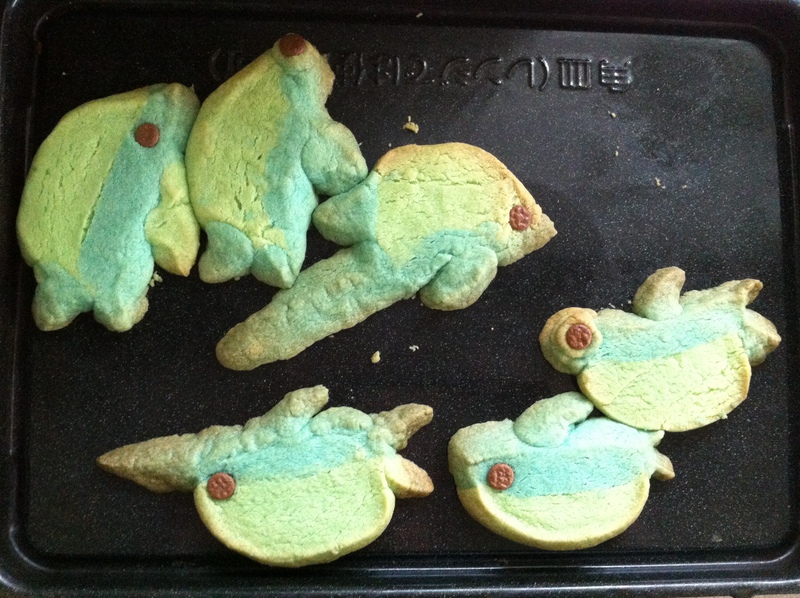 Here’s a gallery of photos of the finished lapbook and our shark-tastic cookie baking experiences. 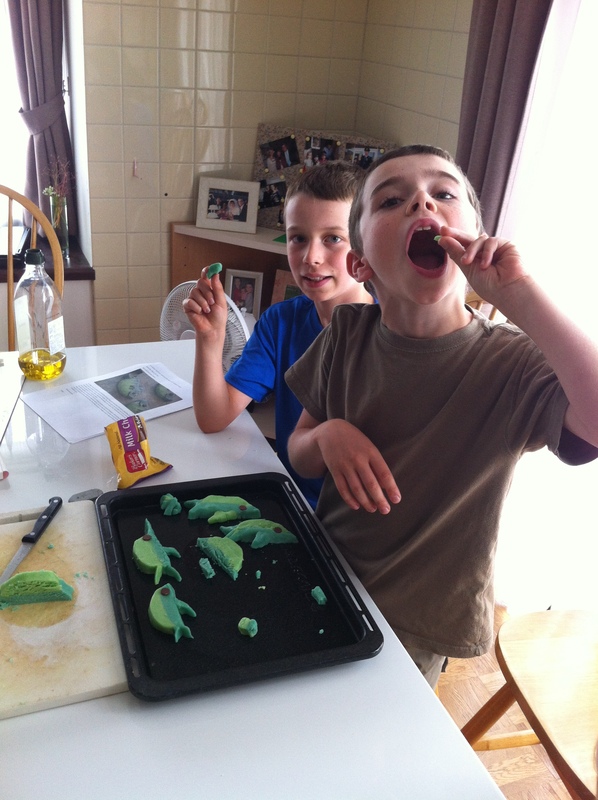 Ethan and Austin couldn’t resist nibbling some of the dough before we baked the cookies. 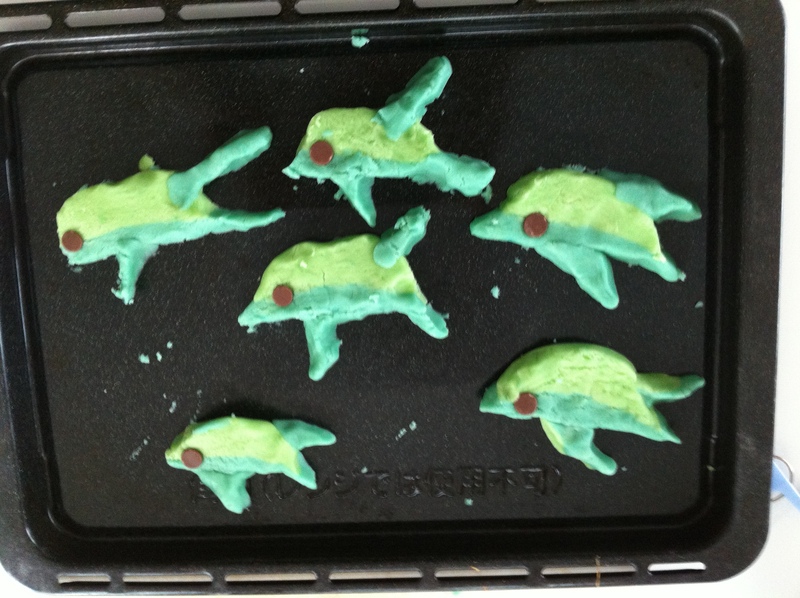 Sharks ready to be baked. 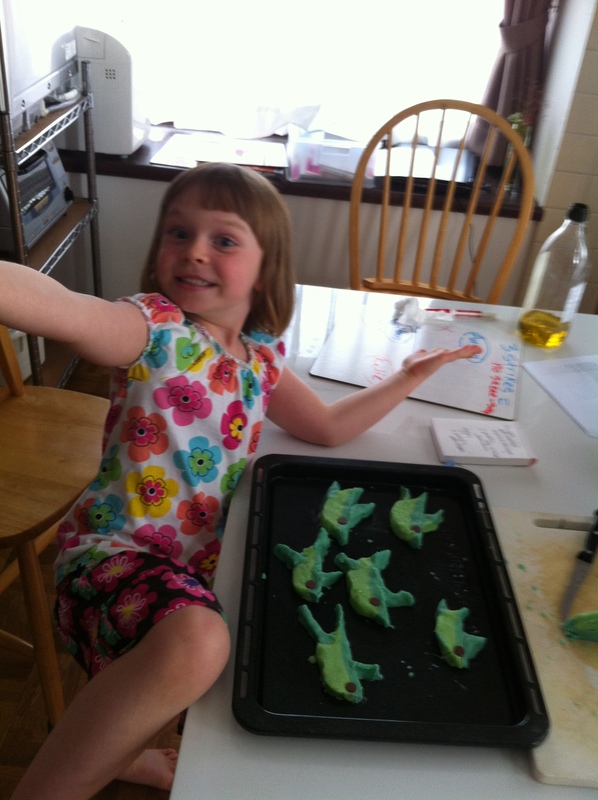 Katie proudly posing with her ready-to-bake sharks. 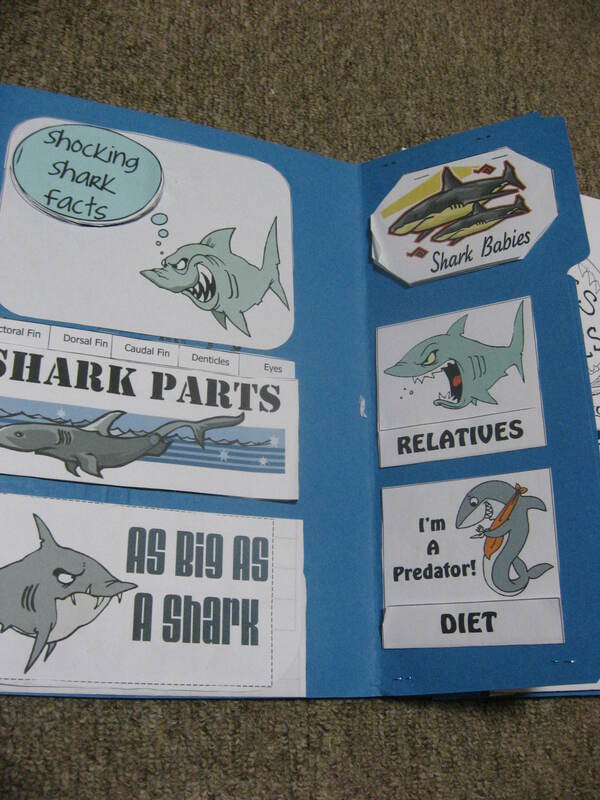 Austin and Ethan tried their hand at making some different shark species, like the thresher shark (in the middle) who has a long tail. 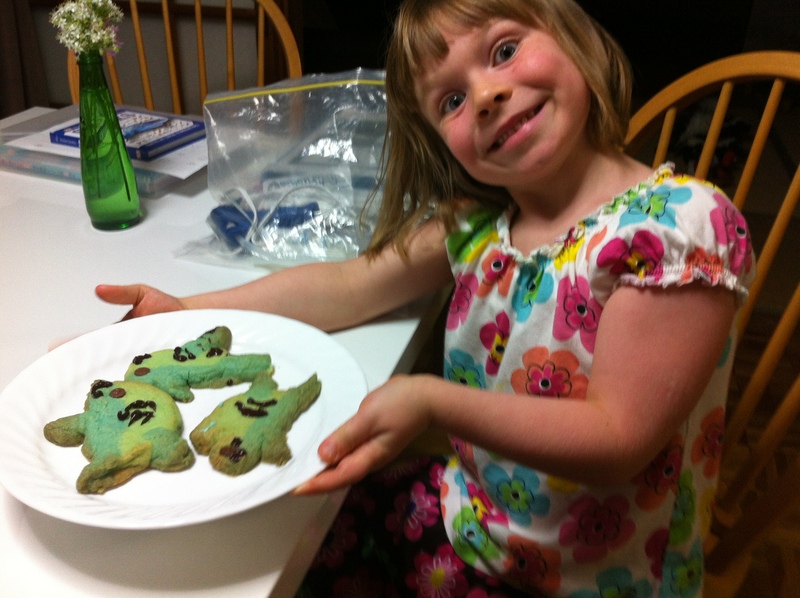 We decorated the cookies with store-bought chocolate pens. 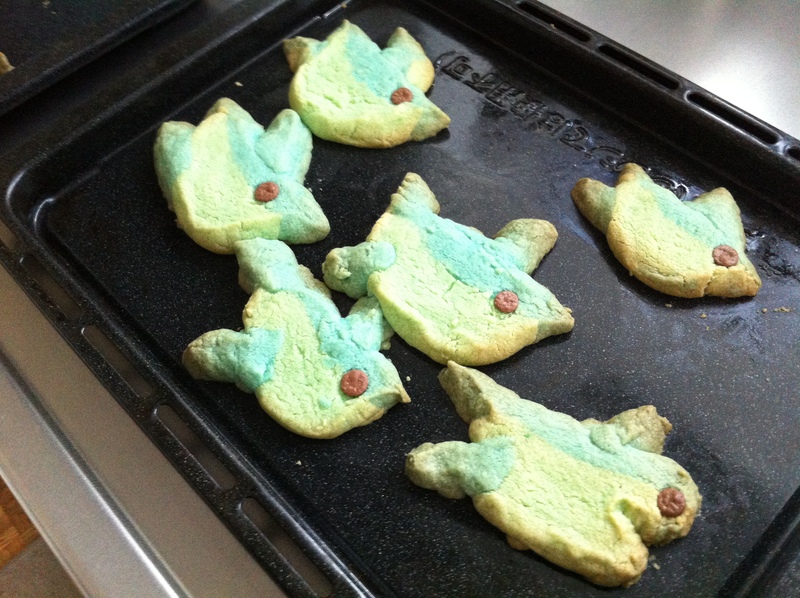 The chocolate is hard in the tube, but you put it in a cup of hot water to soften it and then you can use the pen to decorate the cookies.